﻿ Best Price on Nina's Place in Teakettle Village + Reviews! 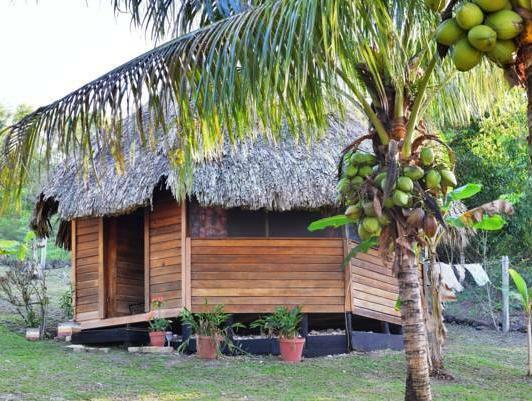 Nina's Place is located in Blackman Eddy, 19 km east of San Ignacio and 19 km west of Belmopan. There are four cabanas which offer rustic décor, a fan, minibar, coffeemaker and views of the garden. Activities including jungle hikes and Mayan ruin exploration, as well as horseback riding, cave tubing and chocolate making can be organized by the onsite tour operator. Optional gourmet breakfast and dinner are served on Nina’s balcony. Phillip S. W. Goldson International Airport is 1 hour and 40 minutes’ drive away.